Chuck Underwood's Books | The Generational Imperative, Inc. This book is the “bible” of generational business strategies and personal-life dynamics, the most comprehensive presentation of the topic ever published. 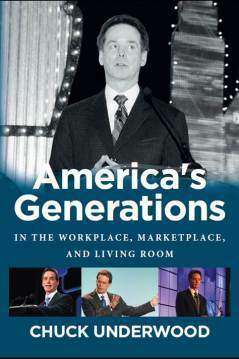 It tells the life stories of Millennials, GenX’ers, Boomers, and Silents and then offers in-depth strategies for connecting with each generation in the workplace and marketplace. This is the massive 2016 update of Chuck’s original book The Generational Imperative.